These tapes are not anti-slip floor tapes but are for use as glow in the dark egress markers on walls, baseboards and thousands of other objects. 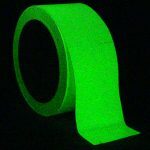 We have unbelievably low prices for rolls of Jessup’s brightest Glo Brite© photoluminescent tapes that stick to nearly any surface yet can be removed cleanly. 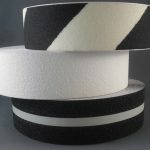 These Jessup tapes are not anti-slip floor tapes but are for use as glow in the dark/photoluminescent egress marker tapes on walls, baseboards and thousands of other objects. These are the best and the brightest available! Emitted light per square inch, for a four-inch strip, is more than 900 percent of the ASTM specifications for after 10 minutes and for after 60 minutes. Noticeable glow lasts 24 hours or more.